Supports up to 100 pounds. Sold in pairs. A 100-lb. load rating perfectly suits these slides for heavy everyday use, while 1" over-travel past full extension provides total access to drawers beneath overhanging countertops. An attractive zinc finish and several additional high performance features make this a traditional favorite for both the home and office. 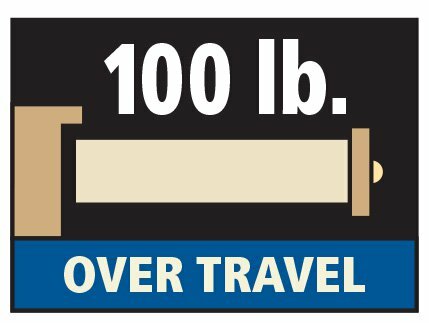 Over travel for all 10"-28" is 1". Good slides, roll easy and hold the weight of drawer and contents. I bought three pair to install in a shop cabinet. The quality is excellent, the slides are very sturdy and the over-travel feature allows easy access to the back of the drawers. I have used Knape and Vogt slides in the past but I now prefer the Centerlines. Great slides, easy to install and the over-travel makes the drawer easy to use. Well recommended. drawer slides were easy to assembly and installed in very little time. 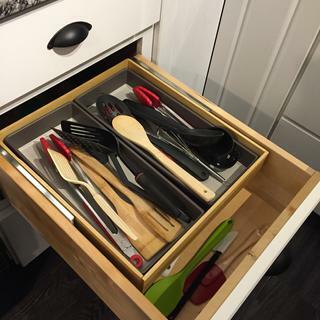 My wife loves her new slide out drawers. I had factory drawer slides in my kitchen, they couldn't take the weight of silverware. 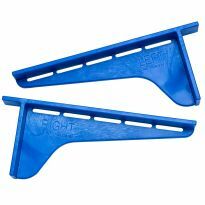 These work smoothly and handle the weight easily. I've used these before and simple love them. They do everything they claim. Will buy them again when needs arises. Very smooth, just want I expected. They work perfectly for an old dresser where it was difficult to open and close the drawers. Great slides, I really like the extra 1" over. Makes for easy access! Worked as advertised, straightforward to install, smooth and quiet. The slides are extremely easy to install, glide well and maintain rigidity. Everything regarding these slides came together exactly as noted. They are easy to install, work smoothly and efficiently, and certainly will handle the weight as noted. Using good drawer slides is essential for long term results. Many cabinets I have repaired are because of poor quality in slides. It is worth doing right and using good products. These are good. As advertised, these are heavy duty slides and worked perfectly for my pantry. Outstanding quality and function. I have used these on a number of projects and have always been pleased. This is a great product. Make sure you correctly set the front edge (even on both sides) and keep the slide level. Great product I bought 28" slides and full extension. Slides very nicely and they hold the weight of the blue prints. I am very pleased with this product. Very heavy duty and well made. I will be ordering more in the future. These drawer slides were the best value and very easy to install. These are very nice slides. The 24" version I got is actually just under 24" by about 3/8th. Slides fit Rockler's shop stand with slide mounting kits very well. Easy install. High quality product. The drawer slides with very little effort even though the drawer is full. A little more work to put in, but we'll worth it. The need is to keep all the parts and accessories within easy access to my Workmate when I need them. I bought the 10 inch slides to mount a small shallow drawer for storing the small accessories just under the top work surface. 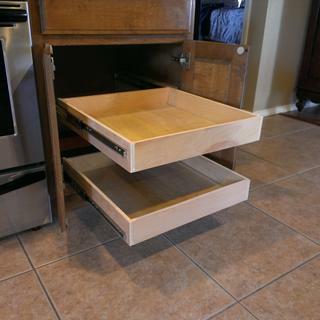 I wanted to build some slide out drawers in my kitchen cabinet, they work great, and very easy to install. I don't know yet, how long they will hold up, but they are a nice heavy product with 100 lb rating, sliding mechanism is very smooth. Seamless installation to replace an older and less robust set of slides. Extreme high quality for the price. Used on two 37" wide pull out shelves for pots and pans. Worked perfectly. Would not hesitate to buy again. I have used quite a few of these of various lengths, and never had a problem. Very smooth action and quite sturdy. Correct Hardware makes it work! I wanted to maximize my drawer space since I only installed one additional cabinet in the kitchen. The other drawers have been cluttered for a long time. As you can see by the pictures I made full use of the interior area of the cabinet. These 24" over travel slides allowed me to make the drawers longer than the slides and still have full access of the drawer. The slides come in even lengths and the 26" length would not fit. I would definitely recommend these slides. The original cheap slides on this drawer broke right away. We replaced with these, and it is wonderful. It glides open and shut, was easy to install, and will hold whatever we throw in it. Wish we had done it sooner. Bought 16 pair to install pullouts in base cabinets. Worked perfectly. Heavy duty units. I would recommend to anyone. drawer slides are a very heavy duty design. Slide is very smooth. These supports are prefect for my woodshop. I installed several drawers and two sliding shelves. The installation was easy and they work perfectly. I intend to purchase more as I add drawers to my woodshop. used the slides to make a Stumpy Nubs designed router lift. The slides worked just fine for this project. Easy to install and they work nice. I used them to make new pull out drawers in the kitchen for the pots and pans. Used in the past and need more for upcoming projects and they were on sale. 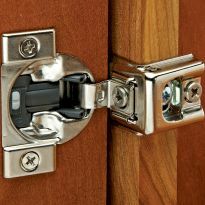 Great drawer slides, heavy duty and long lasting will last for years to come. Work great. Love the over travel. They work great and the over travel is great. Works as advertised. The installation was easy following the included instructions. I thought I had ordered soft close but these are not (my fault). I still feel the close action isn't too hard so I am happy with them. I bought the 16 inch version. The actual length is 15.75: end to end. Screws are included. Instructions are included on the inside of the cover. Great value and best to buy when on sale. I mounted them on 46" by 15" deep drawer on my Windsor Design (i.e., Harbor Freight) $120 workbench. The drawer is not that tall so the 200 lb. total capacity is more than adequate. These drawer slides slide like a dream. They are extremely smooth and quit and can easily take the heavy load of a full garbage bin + a full recycling bin.. I have used these before and and have been very satisfied with them. Also, they are a good value for the price. 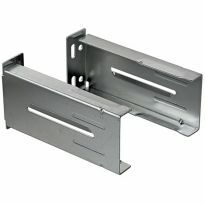 I’ve used the centerline drawer slides 5 times in the past and they are very easy to install and works perfectly. Allows for full extension of drawer & is very solid. Have used them before, very good!!! I use this slides all the time. To replace slides originally installed on drawers in closet organizer which only pulled out 2/3 of the way. I prefer these drawer slides over all others. It meets my project needs. only one i could find to fit my project. Thank you for being there. Excellent price for an over travel slide. Needed for a work center project. Just what I need for my project. Looked like a good quality over travel drawer slide. I've seen drawer slides from Rockler being used in many wood working projects on YouTube and everyone says good things about them. So i've decided to try them out! Needed this for a project, and I saw it was on sale in one of your email advertisements. Replacing standard drawer sliders on a silverware drawer. Lots of weight. These run very smoothly, and can take the weight. Should work well with my new work bench drawer. Nebeded for project. Good quality, and on sale. I now use these all the time, they are great for large and/or heavy drawers. Correct size and weight capacity. right length and style. This order is to compare with other drawer slides. SEEMED LIKE A VERY GOOD PRICE. What is the actual length of the 18" and 20" slides? I have an opening that is 19 7/8" deep. Should I get the 18" or 20" slides? BEST ANSWER: They are EXACTLY 20" or 18" etc as stated. Unless you account for the 1/8" in some way, i.e. etching out the back a bit or the drawer frame a bit, it will extend beyond the enclosure 1/8". Will need the smaller ones or face will not be flush. Had the same problem . Use the full or over extension ones. Makes it so much easier having the entire drawer open. for 18" Series 757 100-lb. Over-Travel Centerline® Lifetime Slides, what is the actual length dimensionl of the slide? BEST ANSWER: The length of the slide in the closed position is about 1/4" smaller than 18"
Is the 1/2" clearance per side, or the two sides totaled up? BEST ANSWER: It takes 1/2" per side for the drawer glides. The drawer needs to be 1" narrower than the drawer opening. 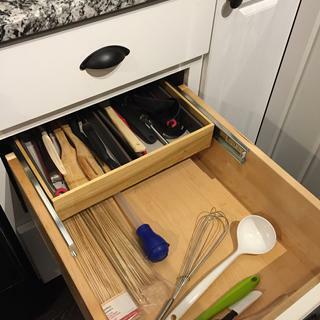 There is not much room for error, a shade under 1" makes the drawer difficult to open, too wide of an opening and the drawer does not fit into the glide. Change the old saying and measure three or more times and cut once. Remaking a drawer is not much fun. 1/2" per side. AND.....this has to be accurate....as well as the the sides being parallel. Otherwise, you will spend time shimming to make the drawer slide easily. Trust me, I know from experience. But they are a very good slide. I have ordered dozens. I recommend the "over-travel". Makes getting to the rear of tbe drawer very easy. 1/2" per side. Drawer width needs to be 1" less than the frame. Per side! Excellent drawer slides!! Each side 1/2 inch, total of 1inch. With the slide fully retracted what it the length of the slide 757? The ones I need can not be longer than 17 inches. BEST ANSWER: RIchard....as I remember, you will have to order the 16" size. The size refers to the totally collapsed length. As I remember. Just a minute, I have an unused set in my bsmnt....I'll check. The overall length on my 26" is......25 7/8". Hope that answers your question. For a maximum length of 17 inches you would go with a 16 inch slide. Make the drawers 16 inches and the back end of the drawer will come out a little bit past the face of the cabinet. Haven't had a client that didn't appreciate this feature. is centerline 757 the same as topslide 757? BEST ANSWER: no, Topslide and Centerline are two different manufacturers. 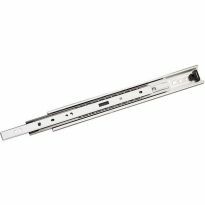 Are these drawer slides recommend for a drawer that is 34 inches wide? 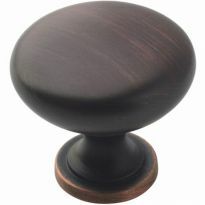 BEST ANSWER: The glides will work fine, it depends upon the strength of the drawer itself and the weight of the drawer. The sides of the drawer have to be strong enough not to sag, but light enough so that they are not overloaded. I have used them for wide drawers and the work well, as long as they are not overloaded. Yes, provided you don't overload the drawer and the drawers are deep - front to back. Shallow drawers will catch side to side unless pulled perfectly from center. Sides are rated for 100 lbs load, but I wouldn't go over 50 lbs. The weight of the drawer itself not even full could be a factor. It is all about the weight , and how square the project is .If is has too much lateral play it wont work . can I use side mount on top of pantry pullout to stabilize it ? pullout is H-77 W-5 D 28 INS. BEST ANSWER: I tried to mount a side mount pull out on the top and it gave me a like diving board effect you would need to get a slide that's intended to be a top mount . If you just need lateral stability (side to side) it will work fine. Just as long as the bottom a bottom mount. Thank you! Yes I have 130 lbs. Bottom mounts on need top for side to side movement at top. Thanks again! These are very good guides that I have used on a woodshop cabinet. All of these drawers are side mount and hold very heavy power tools. I could see using these for a pullout shelf on a pantry. I have not used them like that ,but they are fairly stout, and would probabally work like that. I used a 12" one 15 yrs ago to build a pullout spice upper cabinet. It worked fine. is the 10" slide full extention? BEST ANSWER: The over-travel sides extend further than the full extension slides. Mine extends approximately 1" beyond the face of the cabinet. yes they are full extention slides. They do not have the slow closing feature. Saw the question about the opening width (apparently 1/2" clearance is required per side for these slides). I have a small portable cabinet that needs the full-extension slide, but it only has 3/8" clearance per side. The depth is 14 7/8." Any hope of improving this project? BEST ANSWER: These slides require 1/2 inch for each side. You could possible cut a notch in the side of the drawer of the cabinet to create the extra 1/8 inch on each side. You could also plane both the edge of the drawer and the side of the cabinet to make the room. If these slides are installed without enough clearance they will bind. I did that on a cabinet and it worked out well. I have used a lot of these slides and like them well. 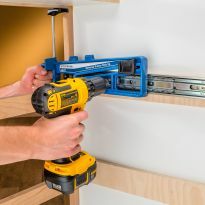 Assuming you can temporarily removed the the drawer face, you can run a 1/8th inch deep dado cut on each side of the drawer, slightly larger than the height of the slide. Reattach the drawer face and mount the slide in the dado and on the cabinet side. It's important that the dado is wider than the height of the entire assembled slide. 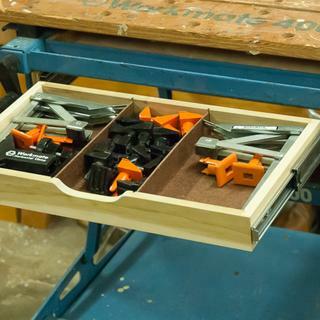 An alternative is to build new drawer boxes to allow for the half inch on each side. 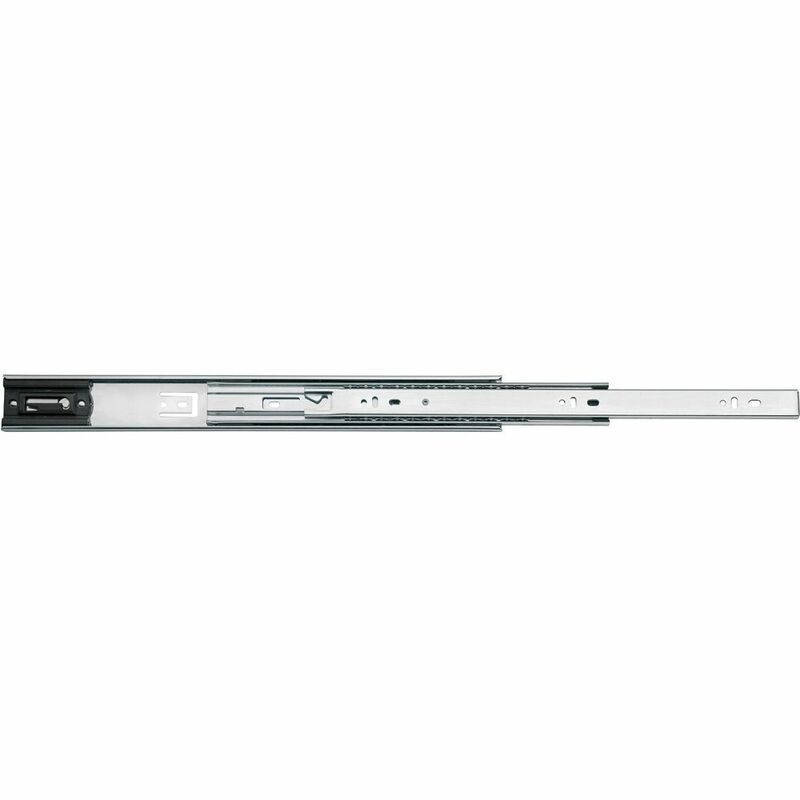 do you have mounting dimensions or drawing on 49422 ( 26" long slides)? BEST ANSWER: I'm not sure of yourquestion. But here's an answer. The slide maybe mounted anywhere in the cabinet or on the drawer. The ONLY thing I had to worry about was that the sides of the cabinet were parallel....not close to parallel. BUT parallel. If not, you will have to shim in some fashion. Also, the width of the drawer MUST be 1" narrower than the cabinet opening. If these conditions are not met, the drawer will not engage with the slide properly or it will be had to close. I used the slides on a desk I was building. I mounted the slides in the center of the drawer per instructions that accompanied the slides. I don't have a drawing. I recently purchased their alignment bracket to help align the slides. how do you know what size to order on the drawer extension? BEST ANSWER: I would say the depth(front to back) of your drawer. Now I have on occasion, purchased slightly longer slides to allow to drawer to.pull out farther. But of course, you are limited to the depth of the cabinet. I purchase all my slides from Rockler for price & selection. Never had a problem. Just make sure your drawers are ABSOLUTELY square. It would depend on how far out you would like your drawer to come and how much access you would like to the very back of the drawer. I like to use over exten slides and maximize the space if I have 24" deep cabinet I use 24" slides. I make the front end of the slide flush with the R/O of the cabinet. measure your drawer ,but not the front of the drawer and that will be your size, It is better to order smaller then too large. how do i determine if i have an faceframe installation ? BEST ANSWER: You look at the front of the cabinet where you are installing the drawer, and determine if the cabinet has a face frame installed over the front edges of the material that was used to create the body of the cabinet. 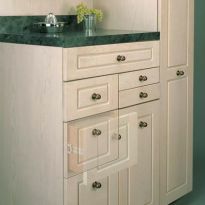 The openings in the face frame are usually a bit smaller than the openings inside the cabinet. 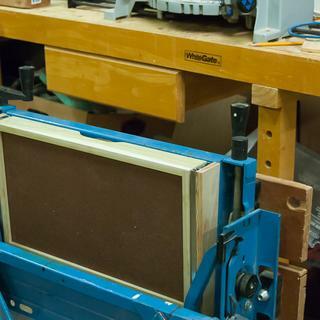 The face frame is usually made of some solid wood, while the cabinet carcass can be made of solid wood, or a laminated material such as plywood. How do you plan on attaching the slide to your frame? My interpretation is that if you are only going to attach the front and the back ends, you do not have a face frame installation. You can attach these slides either way, only at the ends or with screws all along the slide. Another interpretation to your question is that you may attach the front end even with the front of your frame. My cabinet box will be faceless (20 1/4" depth) with overlay drawers. I want to maximize drawer depth, putting rear of drawers very close to the cabinet back (within 1/4"). This would make the drawer depth to outside back exactly 20". Is there a reason to subtract 1" from cabinet depth to determine slide length? Would prefer to go with a 20" rather then 18" slide here to get use of the over travel feature. Thanks. BEST ANSWER: You should have no issue using the full 20" drawer slide. I have done this successfully several times. The slides are slightly less in length than the nominal size. I've done a similar close fit and was fine. My inset drawer depth is 21.5" after deducting 1" from the overall depth and 3/4" for the drawer face. 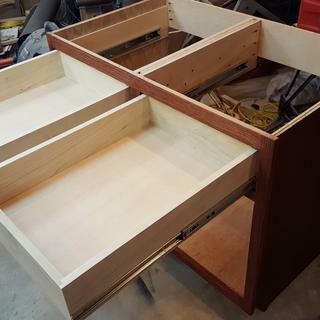 I am assuming I will need to get the 20" long slide and just keep everything toward the front of the face frame and drawer, since I will be using 3/4" spacers between the drawer sides and stiles, eliminating the rear slide bracket. Should have no impact on the over-travel, correct? 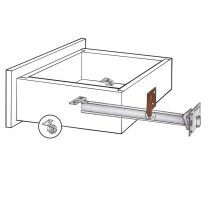 BEST ANSWER: When you fasten the drawer slide to the side of the cabinet you will have the correct over travel. The over travel should not be affected by how it is mounted. Yes, the slide should be fastened as close to the front of the cabinet as possible. I want to install sliding drawers in the cabinets under our island. The cabinets are 34 3/8 W x 29 1/8 D. I want to use the 757 series side mounted on the upper drawers. May I also use them Under-mounted? If not, what slide would your recommend? BEST ANSWER: I used 3 on a small spicecabinet. 2 on the sides of the upper portion & 1 underneath on the bottom. They worked....."ok". Maybe you could asked a question about the heavy duty cabinet slides. What slide would you recommend? use a side mount slide if you're going to mount the slides on the side of drawer. Use a bottom mount drawer slide if using under drawer. I AM NOT A CARPENTER!! HOW DO YOU DETATCH THE CENTER SLIDE SO I CAN ATTACH IT TO THE DRAW? BEST ANSWER: The center slide for the drawer separates from the unit that attaches to the inside of the cabinet. BE SURE THAT THE DISTANCE FROM THE INSIDE OF THE CABINET TO THE SIDE OF THE DRAWER IS EXACTLY 1/2" ON EACH SIDE, or one inch narrower than the open.. One way to position the units properly is to measure the height of the drawer -- say 5". Cut that in half and add 1/4". So the center line is 2 1/2 + 1/4" (2 3/4")down from the top of the inside of the cabinet. Draw a level line front to back 2 3/4" down from the top. Predrill a hole on the line about 1/2" in from the front of the cabinet. 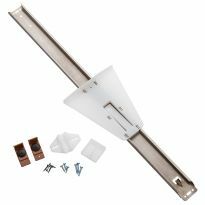 Attach the unit to that line with a screw and aline the entire unit on the line and screw it into the cabinet side with at least three screws total.. Repeat for the other side, making sure that both of the units are level with each other and level with the line. 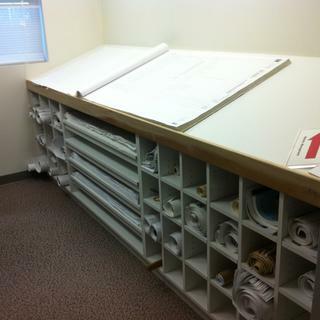 Now attach the side bars to the side of the drawers, by drawing a line 2 1/2" front to back from the top of the drawer. 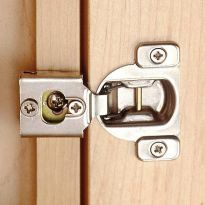 Attach the pieces using the line to position your screws just as you did for the unit that attaches to the cabinet. 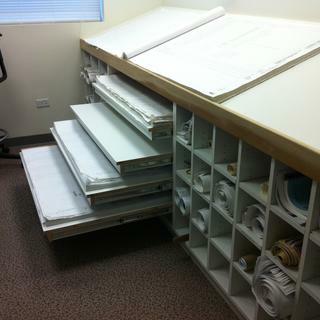 These units will slide into the cabinet units. Two oblong shaped tabs on the side are lifted up. Actually one is lifted up and the other is pressed down. Building a pull out drawer which needs to attach on one side only, with slides about 10" apart one one top over the other. Will this work? MIke....I think u would need some support on the opposite side of the slides. Maybe an undermount like a tall spice drawer. U might mock up & try out.....good luck. 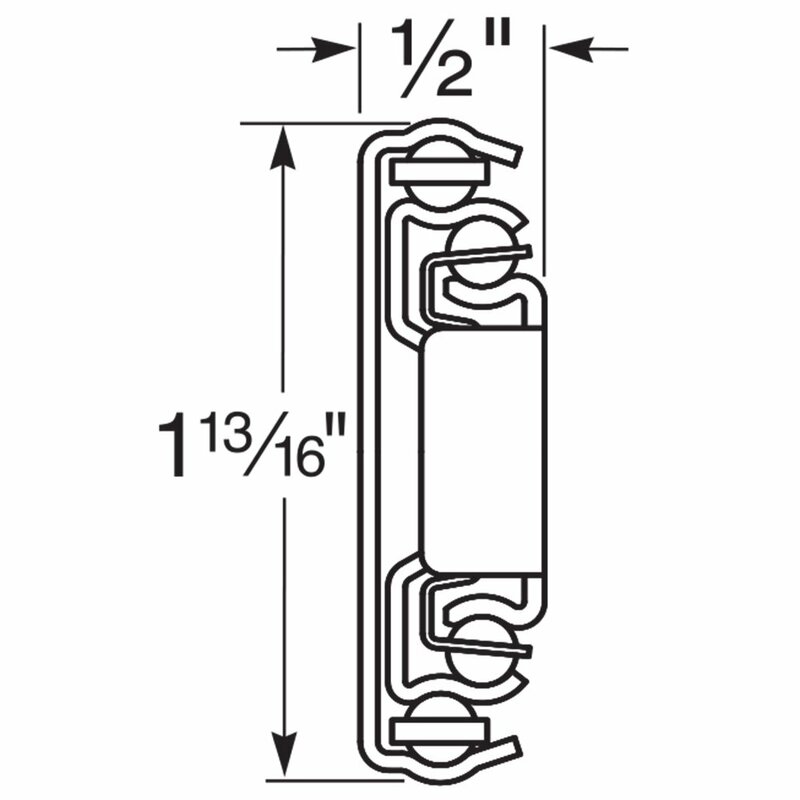 for 10" Series 757 100-lb. 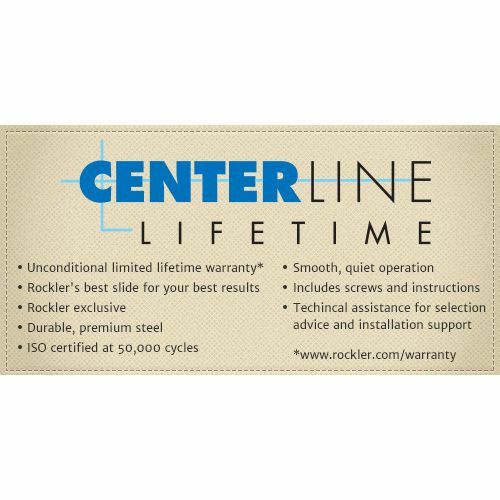 Over-Travel Centerline® Lifetime Slides, what is the actual length of the slide? BEST ANSWER: I can't answer because they area installed in a piece I don't have access to, but the specifications are listed on the description in the catalog. As I recall, 10" series means that the drawer is 10 inches long and will fit in a 10 inch space, but it has to fit behind the front of the drawer. 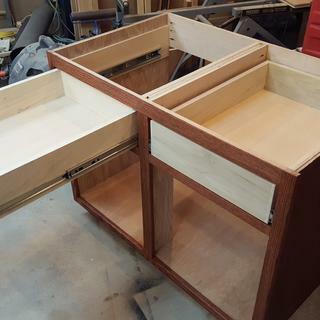 The drawers I have made are boxes with a front added to cover the drawer slide on either side when the drawer is closed (the front of the drawer is 1 inch wider than the drawer box to allow for the 1/2inch on either side taken up by the slide). I don't have one to measure. Go by the store and measure one. My cabinet measurement is 23 1/2" from rear of cabinet to outside edge of the face frame. 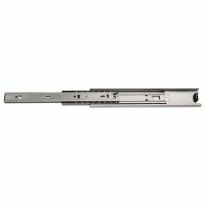 Would I order the 22" 757 centerline slides with the rear brackets? BEST ANSWER: Yes...that's what I would do. I have not used them with face frames. I attach them directly to the sides of the cabinet. I have purchased dozens of these from Rockler & never had a problem. The slides Must be parallel to drawers. Do these come in black still? BEST ANSWER: Sorry.....I never purchased them in black. 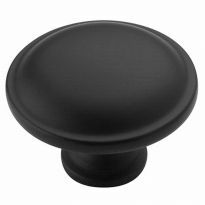 Do these come with screws to fit the Euro 32 mm system holes? I am interested in using these not as drawer slides, but as guides for two 24" W and 31" high panels that I will use to close a 48" inch opening between rooms. Open concept stinks when you have 5 dogs that rush guests at the front door. Do you think this will work? If not, do you have any suggestions? THX! BEST ANSWER: Yes. This should work. For an island 32 X 24 does one have to worry about it tipping when drawer is pulled out? All is made of plywood with a 26 x 34 quartz top?? BEST ANSWER: Depends on the length of the slide and how well the cabinet is anchored to the floor. Think of an un-anchored dresser if you stood on the bottom drawer. How much over-travel is there on these drawer slides? BEST ANSWER: These specific slides extend 1" beyond the drawer enclosure. Where are these made (i.e. Country of origin)? I want to use this to update a broom closet in the kitchen to a pantry. Cabinets custom built in 1970 with face frames. 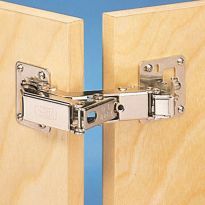 One side has a 1" frame while the hinge side is 1 1/2" (interior from side to outside of frame) if this takes up 1" plus the drawer slide requires 1/2" clearance and then the depth of the standard, do I just need to shim the 1 1/2" side, or neither? BEST ANSWER: The brackets need to have a 1" clearance. If you have an 1-1/2" on on side, yoe will need to close the distance in a1/2" to make this work with your current design. Is there a slide that opens both forward and backward as in under a kitchen table ? BEST ANSWER: I have not seen any slides that will do that. If it has stops so it won't come out, then it probably would only slide one way. You could use a wooden center slide with guides on both ends of the drawer, but it would not have as much strength as these slides. It would also not extend out as far. What is the minimum drawer height? 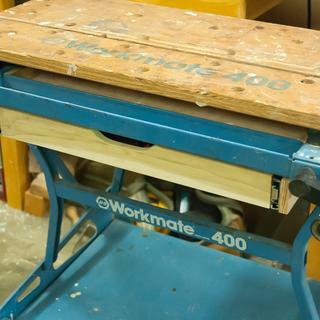 I'm looking for something that I can just use a piece of plywood as a slide out shelf in a bank of under workbench cabinets. If these will not do the trick anyone have any suggestions? BEST ANSWER: I Did the same thing.. you can center it on piece of 3/4 that would work. I doubled up one of mine. And centered on on just 3/4 . The metal slide did stick out above and below the oiece of 3/4.. This is what I figured would happen if just using the plywood. I'll probably give it a try and if that doesn't work I can just reduce the ply size and put a 1.5" or so border around it. That would definitely do the trick in my case. I am making a desk with 4 drawers ( for files and one to house our printer ) that is approx 21" deep but drawers are appox 14" deep. What length of slide do I need for full extension? 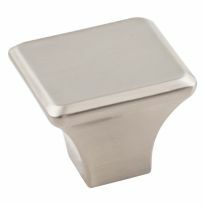 Satin Nickel Marlo Knob, 1-1/4"